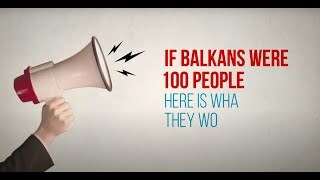 As requested by the Western Balkans’ governments, with the support of the European Commission (EC) back in 2011, the Regional Cooperation Council (RCC) together with national administrations, regional bodies and relevant initiatives have engaged in a collaborative process to prepare a regional competitiveness and growth strategy. 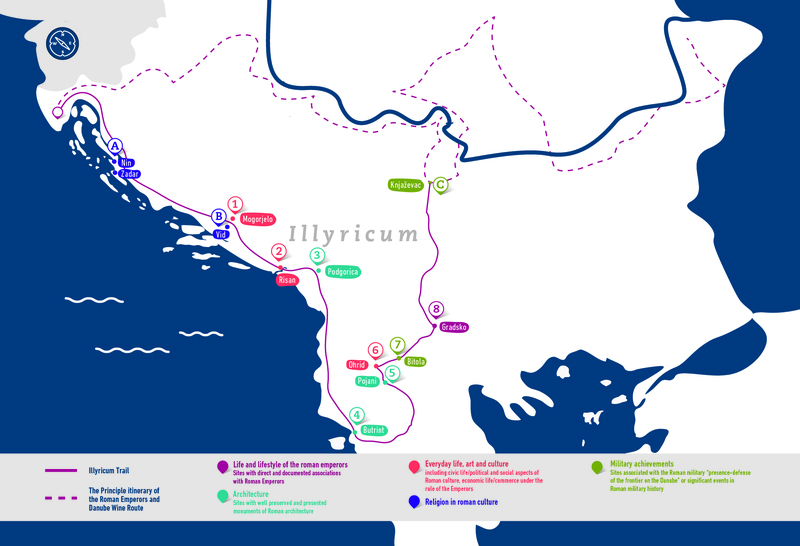 The RCC has led the Western Balkans countries in developing a strategy inspired by the European Unions (EU) Europe 2020 Strategy, both in terms of the issues addressed and the concept of expediting progress through better cooperation in areas that are of common interest. 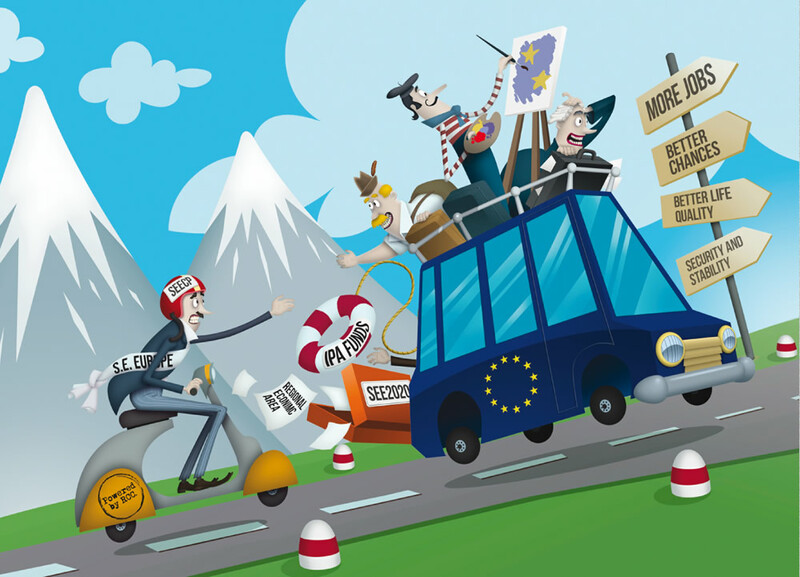 The South East European (SEE) equivalent SEE 2020 – Jobs and Prosperity in a European Perspective Strategy was adopted by seven economies from South East Europe at a conference of Ministers of Economy held in Sarajevo in November 2013. 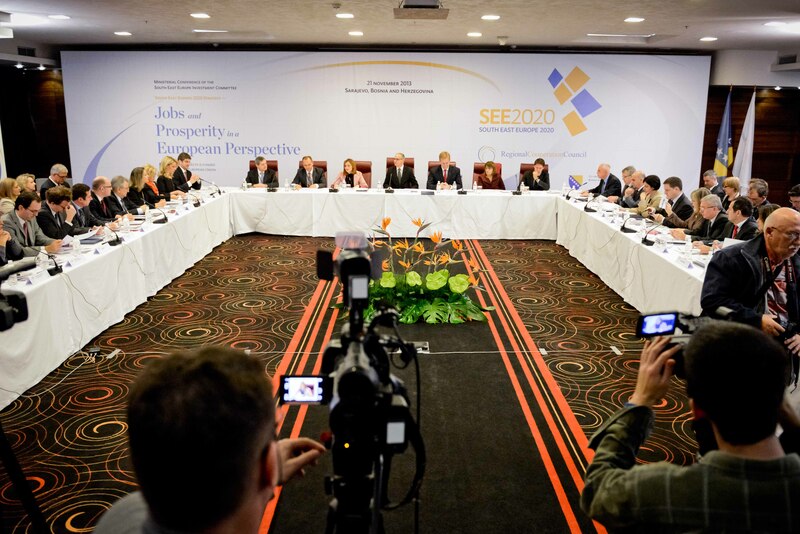 The direct participants in the SEE 2020 are: Albania, Bosnia and Herzegovina, Croatia, Kosovo*, Montenegro, Serbia and The Former Yugoslav Republic of Macedonia. 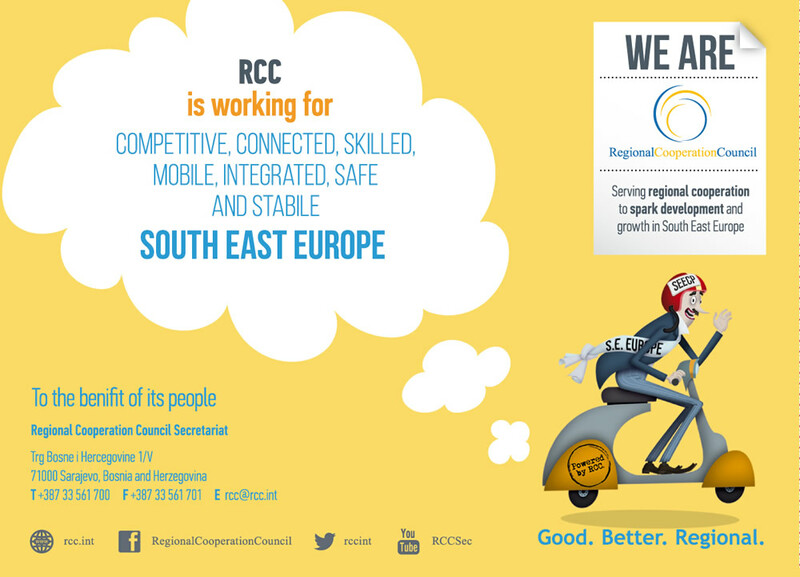 The meeting of the SEE 2020 Strategy’s Governing Board will be held each year back to back with RCC’s Annual meeting. 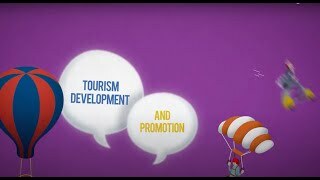 The SEE 2020 strategy has been developed through a de-centralised process whereby specific regional partners are identified in each of the main policy dimensions of the SEE 2020 pillars to champion the activities on the Strategy development within their respective dimension, under RCC’s leadership. More than a dozen regional structures took part in the development of the Strategy and will be acting as primary coordinators for various policy dimensions of the SEE 2020 implementation. As the first step of the SEE 2020 implementation, the governments in the region and the dimension coordinators are to develop national and regional action plans, respectively. In addition to this, a comprehensive set of indicators is also to be defined aimed at creation of the SEE 2020 monitoring system to measure progress towards the attainment of strategic targets. RCC is to coordinate the efforts on the development of national and regional action plans, as well as on the identification of indicators required for setting up of the monitoring system. The RCC Secretariat is currently working on a preparation of a Baseline Report for the SEE 2020 Strategy that is to be presented and discussed at the SEE 2020 Governing Board meeting in June 2014.